The maintenance experts of Beckner Imports have been honored to serve Wirtz for the past 38 years. While we focus on Auto Repair, Engine Repair, Brake Repair, Transmission Repair and Auto Electrical Service, we also provide a long range of other auto repair services listed on our services page. Our auto repair experts have built our reputation by providing consistently superior service here in Wirtz, operating from the same location with the same owner since 1989. "My Subaru needed a new battery and Nathan and crew had one in stock! Got my car up and running in no time.Thank you Beckner Imports for continued great service." "Nathan and his helper know what they are doing and do their best to keep your car running top knot." "Nathan and his crew are very nice and know what they are doing. If for some reason it might need something else they take care of it and do not rip you off." "That Nathan does great work and does his best to keep your car running great. Got me a set of tires. They are great." "I will not go to another shop ever again. I was referred by one of their customers and so glad I was. They do the service on all 3 of my vehicles. I've had over 40 cars and have never encountered a mechanic as honest and trustworthy as Nathan." "I came to Hardy for a funeral and was having warning lights about tire pressure. Not wanting to drive 240 miles back without checking it, we went to Beckner. The people were very nice, checked all the tires and found nothing wrong. THey refused payment and gave us assurance we were safe to drive home. WONDERFUL customer service. GOd bless them!" "Nathan handles the service needs of all four of our vehicles. These are all older cars with high mileage, and he keeps them all in tip-top running order." "They know what they are doing and do it well"
"Always have been treated as a friend, work performed professionallly and correctly at a reasonable cost." "I have nothing but good things to say about you guys. I tell everyone about you and the excellent prices." "The staff atBeckner Imports are very knowledgeable concerning vehicle repair and maintenance from the most basic to very complicated. I have never been the least bit dissatisfied." "That they do quality work and have fair prices." "Everything at this shop is top-notch." "Use Beckner Imports as they are very nice, do excellent work, and strive to please their customers. Their prices are not inflated. 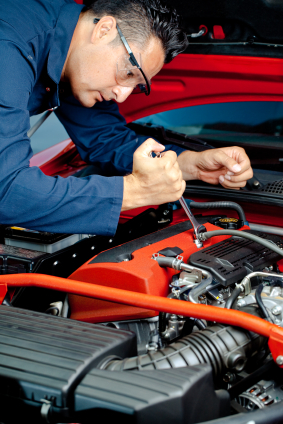 The mechanics are certified, knowledgeable, and consistent in doing good work. I have always been very satisfied with the service provided and advice given." "First rate service at a fair price"
"If, they tell you a price you can bank on it. It will be what they tell you,"
"That they are very easy to work with do not lie quality work bend over backwards for you." "Nathan, call my friend Pete Beck who I believe stopped by your shop. He was expecting a call from you on his damaged vehicle, and has not heard from you"
"Nathan. If I found an engine for the 328 you have in the junkyard...what would you charge to put the engine in and sell the car for?" "Beckner Imports is a local shop that provides great service and are are reasonably affordable I would recomend them"
"Good work at fair prices." "Beckner Imports handles all my auto needs. I have had major engine work, routine maintainance and have purchased tires and battery with absolutely no issues with quality of products, service or pricing." "Honest people who know what they're doing and care about what they do. Feel like I'm in good hands!" "I, would not take my service any where but beckners." "That Beckner Imports is a good shop that has great customer service and reasonable prices. They do great work"
"I would relay my good experience with the shop. Extra time was spent locating a hard to find part and that the problem was fixed right"
"I have had everything from major repair to routine maintenance performed at Beckner Imports and have always been pleased with thier work. There is an attenton to detail and a strong work ethic not always found in the auto repair industry today." "Pays attention to details....all (even hard to reach) bolts/clips/wiring harnesses go back in proper place etc.!!! Above all....honest and proven trustworthy. Friendly. Ask for Nathan"
"Nathan is a caring owner who tries to solve your problem without doing unnecessary work. I have had several things done over the years. Most were routine maintenance issues; however, two were more complex. The recommendation by Nathan on one project was significantly less than the dealer suggested. The dealer recommended more than needed to be done. Consequently, I have never had the dealer do any of the work on my vehicle since." "Excellent...take your car there and you will get good service and a good repair and at a reasonable price."